Arsenal fans here in the Tavern are desperate to see their side back in the Champions League in the near future after failing to secure a place in the top-four last season. The Gunners will have their eyes set firmly on securing a Champions League spot under new boss Unai Emery in the next campaign. 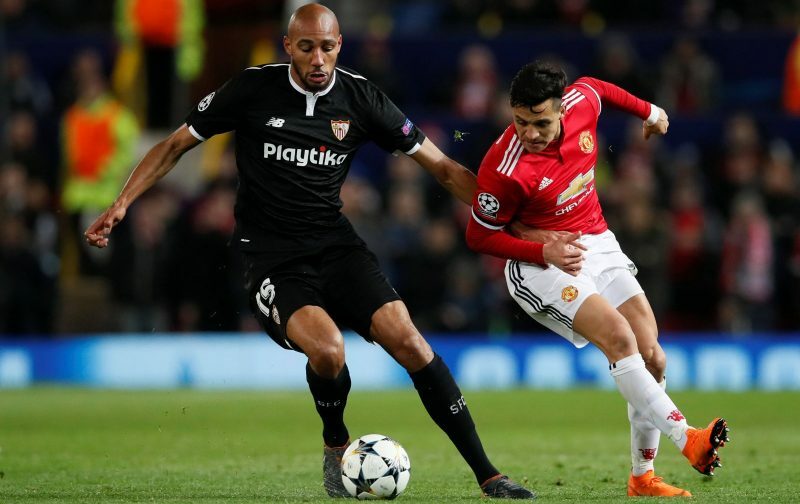 Although, their former manager Arsene Wenger’s final season in charge could cause problems for Arsenal, as according to Sun Sport, Juventus have tabled a counter offer to lure Steven N’Zonzi to Italy, with Champions League football in the offing. Interestingly, it’s believed that Arsenal are in talks to sign Sevilla midfielder Steven N’Zonzi. However, it’s understood that Serie A champions Juventus are also hot on his trail and have tabled a counter offer to lure the Frenchman to Italy with the prospect of Champions League football next season. The defensive-minded midfielder remains Unai Emery’s top priority this summer after Jack Wilshere left on a free transfer. Arsene Wenger failed to secure Champions League football during his last season in charge at the Emirates, as he couldn’t find a way past Atletico Madrid in the Europa League and missed out on a place in the top-four. So, he could soon turn into a villain in North London if they miss out on signing Steven N’Zonzi, as their top priority target may prefer a move to Italy with Champions League football in the offing. Arsenal fans… Thoughts on the news? Let us know down below!! !